What is Umbrella Liability Insurance? Do You Need It?. Umbrella insurance is a secondary type of liability insurance that covers your personal liability above and beyond the standard liability you have taken on your homeowner policy. Umbrella liability can cover you on multiple properties and cars depending on what coverage you select. Also known as a personal excess liability insurance policy, this type of policy is not a stand-alone policy which is why it is known as a secondary policy. Umbrella insurance gives you added liability protection for lawsuits and claims that rise against you. It is an inexpensive way to protect your financial future or established assets. Personal Umbrella Insurance kicks in when your base policy liability limit is not enough. It protects you above and beyond the limits on your homeowners or condo insurance, car insurance, watercraft or other personal insurance policies. associated legal defense costs if you get sued for damages to other people's property or injuries. Umbrella insurance is a secondary form of insurance, that requires a primary policy, or an underlying liability policy to first pay out on a claim before umbrella liability coverage becomes effective. For example, a home insurance policy provides the primary liability for a loss, once the amount of money in the homeowner personal liability is exhausted or maxed out, then the umbrella insurance kicks in. Umbrella insurance may also be referred to as excess liability insurance. Today, lawsuits are everywhere. Lawyers are awarding larger amounts of money than ever. The liability portion of an insurance policy also covers a legal defense representative if the negligence would happen to land the at-fault person in the courtroom. After adding up all of the medical expenses for the injured and the legal fees of the negligent person, the standard liability in one’s homeowners or auto policy is often not enough. Almost every state has financial responsibility laws that will hold drivers accountable for bodily injury and property damage resulting from car accidents and the at-fault driver could be sued for the damage. Personal assets from the at-fault driver could be seized resulting from a lawsuit. Similar laws are also in force for home and watercraft owners. If an unfortunate accident should happen that is your fault, do you have enough liability insurance from your current policies to cover your costs for negligence? Since no one can predict how much a judge may award the injured person, umbrella insurance is not just for the wealthy anymore, but needed protection for every policyholder. How Much Does Umbrella Insurance or Excess Liability Cost? A personal liability umbrella insurance policy can give you added liability protection without a large added cost. Depending on how much umbrella liability coverage you decide to purchase, it could cost as little as $100 a year for 1 million dollars of coverage, and would increase depending on how much coverage you have. Additional liability insurance is inexpensive, especially compared to the value of the coverage get, paying $100 to $150 in exchange for $1 million of protection is the cheapest million dollars you'll ever buy. How Much Umbrella Excess Liability Insurance Do I Need? Deciding how much umbrella liability insurance coverage you need must be based on your personal situation. It helps to have an understanding of what you stand to lose, and what risks you personally face. What are the value of your assets? What is your potential loss of future income? People with established assets that they want to protect stand to lose significant amounts of money in a lawsuit. If you get sued you could lose any assets you have built up, including investments and all of your savings. However, anyone who has potential future earnings or assets may also be at risk. "In a litigious society everything is up for grabs, that includes your savings, your investments, and in absence of assets, potentially your future." If I Have No Money or Assets Why Buy Umbrella Liability? Even though you may be just starting out, or have no established assets, don't think that a court will not award benefits to the third party if you are held liable for damages. When you have no assets, you may be obligated to pay off the damages awarded with your future earnings! If you are a student studying for your degree, or even if you expect to eventually be promoted and work your way up to a high paying position, your future earnings can be targeted. How Much Coverage Does Umbrella Insurance Come With? You select the amount of coverage you would like to have with umbrella insurance. Umbrella policy underwriting varies from insurance company to insurance company and may provide coverage for tens of millions of dollars, or as little as just one million dollars. It all depends on you and your budget. Also note that some companies can double or triple the coverage from 1 million dollars to two or three, but the cost of the coverage does not double or triple respectively. It is worth getting quotes for a few umbrella insurance limits before you make your decision. What Are the Conditions of an Umbrella Policy? In order for the umbrella policy to start paying out coverages, a primary liability policy must be in place, and have maxed out on claim payments. For example, homeowners, condo's and renters policies will offer primary liability. Cars have various minimum liability requirements depending on the state. State minimum amounts of coverage are not always sufficient to meet the minimum underlying requirements of the umbrella policy. You have to make sure that the underlying policy is carrying enough liability for your umbrella policy to kick in. Consider increasing your liability limits on the primary policy first and then adding the umbrella policy to supplement the additional coverage you need. This strategy may also save you money. Insurance companies will set the underwriting requirements for an umbrella policy. The umbrella policy wording will clearly state the minimum amount of liability required in order to qualify for the umbrella policy. Some insurance companies will require you to insure all your properties with them before offering you an umbrella coverage. They may add the umbrella coverage as an endorsement to your existing policy. Other insurance companies may be able to offer you an umbrella policy as a separate stand-alone policy. You definitely have options when it comes to finding an umbrella policy to meet your needs. The more assets you have, and the greater the requirements you have to protect yourself, the more you may want to look at a specialized insurer, for example, a high value home insurer like ACE (formerly CHUBB), who may even include excess or umbrella liability in their policy as an endorsement, among many other advantages. What Information is Needed to Get Umbrella Insurance or Excess Liability? 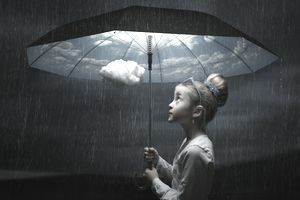 Basically the umbrella liability insurance application is making sure to get a full picture of your assets and how they are insured to make sure that you are getting the right type of coverage and if you do have a claim on the umbrella policy, they already have all the information they need to be able to help you. An assessment of your needs is necessary to properly protect you.